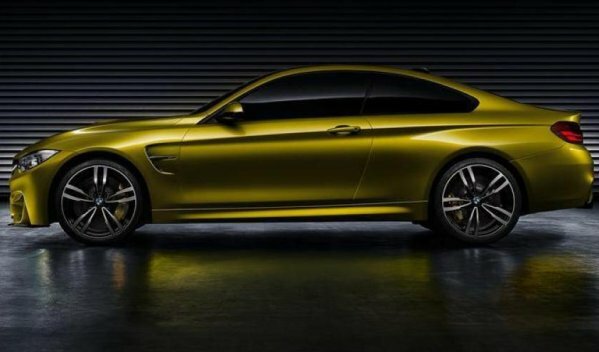 These first leaked images of the new BMW M4 Concept headed to Monterey don’t come with any specifications so we don’t know what will be found under the hood but this new 2-door BMW certainly looks like a worthy predecessor to the mighty M3 Coupe. "The BMW Concept M4 Coupe reflects the BMW M philosophy in ideal form,” says Friedrich Nitschke, chairman of BMW's managing board. “It combines motor racing genes and unrestricted everyday suitability in a highly emotional overall concept." 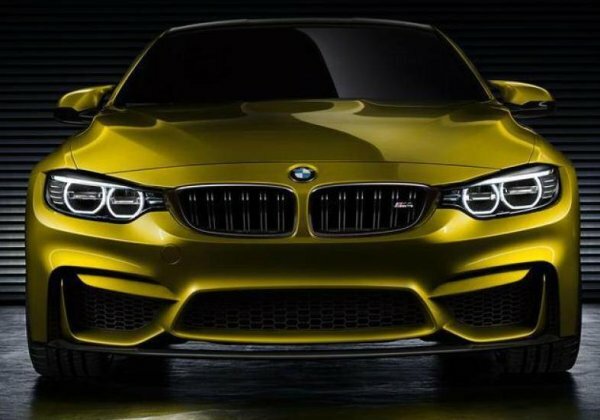 Across the front end, the new BMW M4 Concept has a similar grille treatment and headlight combination with the hood line creating a prominent, angry looking brow while LED rings throughout the headlights provide this car with the high tech look that one would expect. Down below is a super aggressive front fascia that has two large openings on the outside (presumably to provide cooling air to the big M-spec braking system) with a huge central opening that could be feeding air through a big front mount intercooler. Along the sides, the new BMW M4 Concept wears a set of M wheels that appear to be identical to those seen on the current BMW M5 sedan and we can see some big stoppers mounted behind those wheels. Out back, the M4 Concept has an integrated rear diffuser with quad exhaust tips sandwiched between a sculpted rear fascia that looks like a proper rear end of an M performance model. This back end is substantially more aggressive than the standard 4 Series Coupe and with the front end alterations – there is no question that this is a vehicle that could proudly wear the “most powerful letter in the world”…as the company’s marketing campaign goes. It will be interesting to see what is found under the hood of the new BMW M4 Concept Coupe when it makes its Monterey debut. The current BMW M3 sedan and convertible are powered by a naturally aspirated V8 sending 420 horsepower to the rear wheels by means of the buyers choice of a proper manual transmission or a dual clutch gearbox that is controlled by a set of steering wheel mounted paddle shifters. 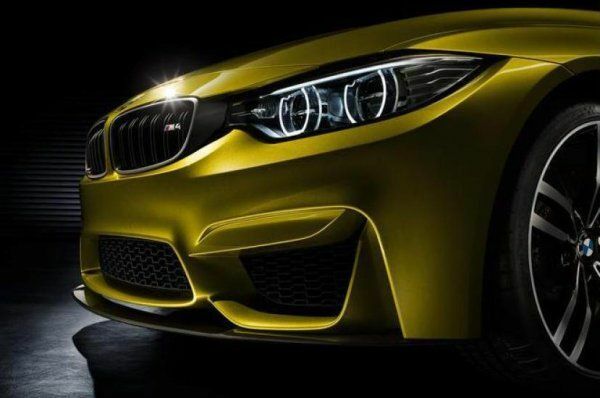 With any luck, the M4 Concept will offer at least the same engine and power output as the current M3 (if not more) with either a manual transmission option or the race-inspired dual clutch technology. We can also expect that the M4 Concept will feature a high tech and high performance suspension system that uses BMW’s Dynamic Stability Control to keep the car safe for novice drivers but also allowing more experienced drivers a more pure, exhilarating driving experience. 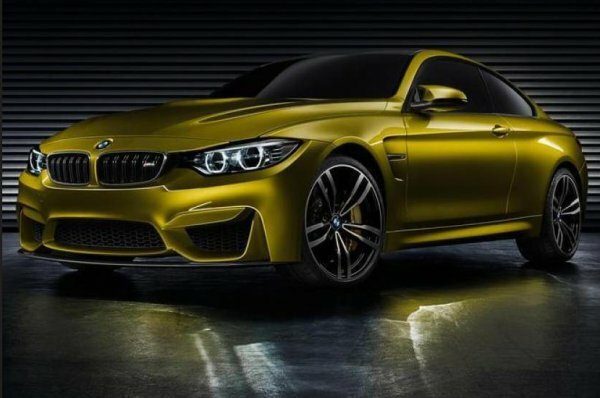 Unfortunately, the BMW M4 Coupe set to debut at the Pebble Beach Concours d'Elegance is listed as a concept car right now and that means that a full production version may vary from what is shown here and in Monterey. However, based on these initial images, there doesn’t appear to be many aspects of this M4 Concept Coupe that couldn’t fit right in to the production lineup. 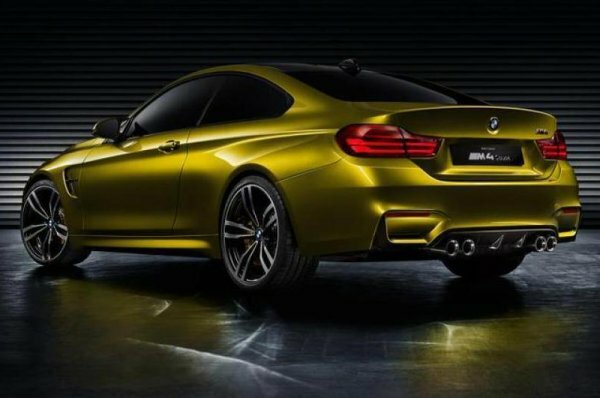 Of course, the high performance of the BMW M4 will come with a high price but for those new BMW 4 Series Coupe owners who want the M flavor without the M pricing - the company will also offer M-spec aftermarket items. Click here for more on that! TorqueNews will bring you more information on the new BMW M4 Concept as it becomes available so stay tuned for that and all of your top automotive news from around the world!